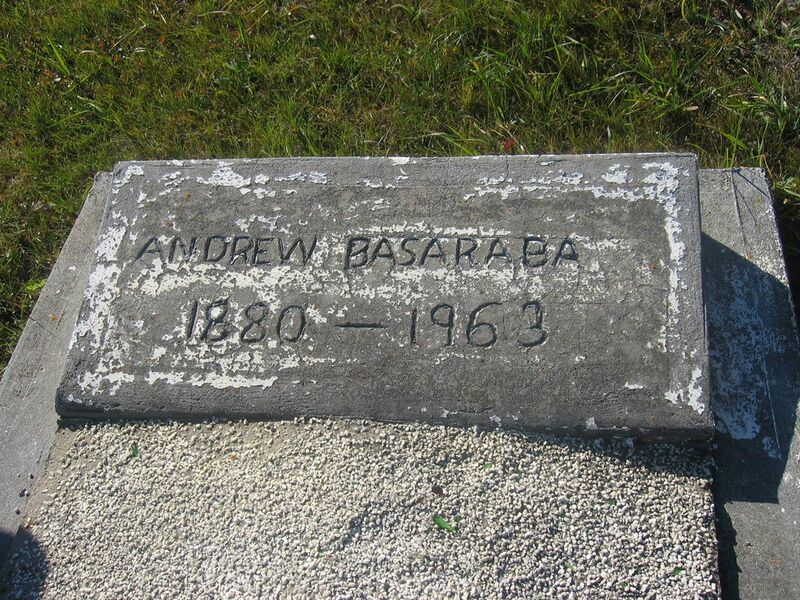 Andrei Basaraba was born in September 23, 1885 in Boian, Bukovina. 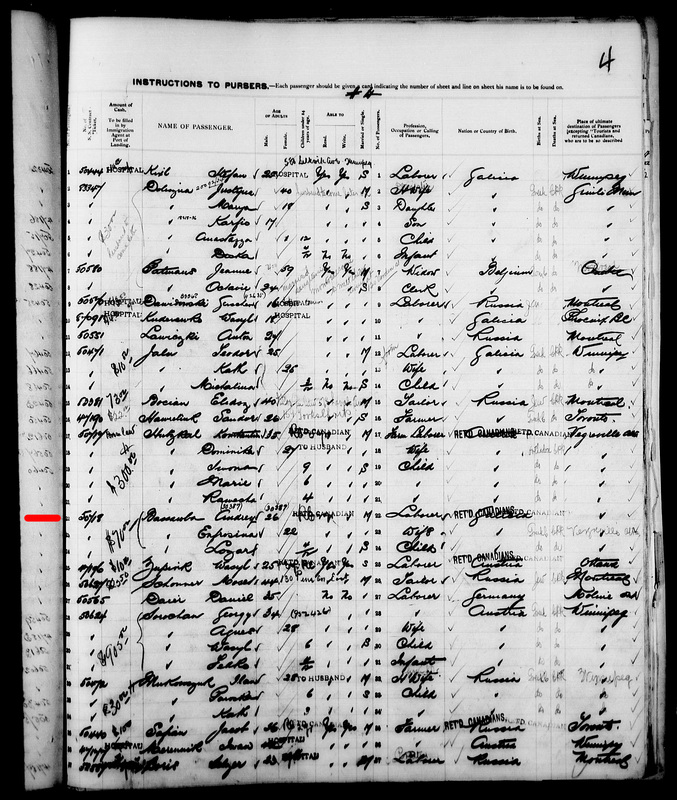 In 1902 he came to Canada and settled in the Moose district on S.E.14, Rge. 13, Twp. 56, W. of 4th. Two years later he returned to the old country and married his sweetheart Frozina Malin and the young couple returned to Alberta. Accompa­nying them was Andrei’s father and his married sister Katrina. ??? From Andrei’s first marriage, two girls were born, Marioara who lives in Vernon and Domnica who resides at Peace River. Frozina passed away suddenly of a ruptured appendix. 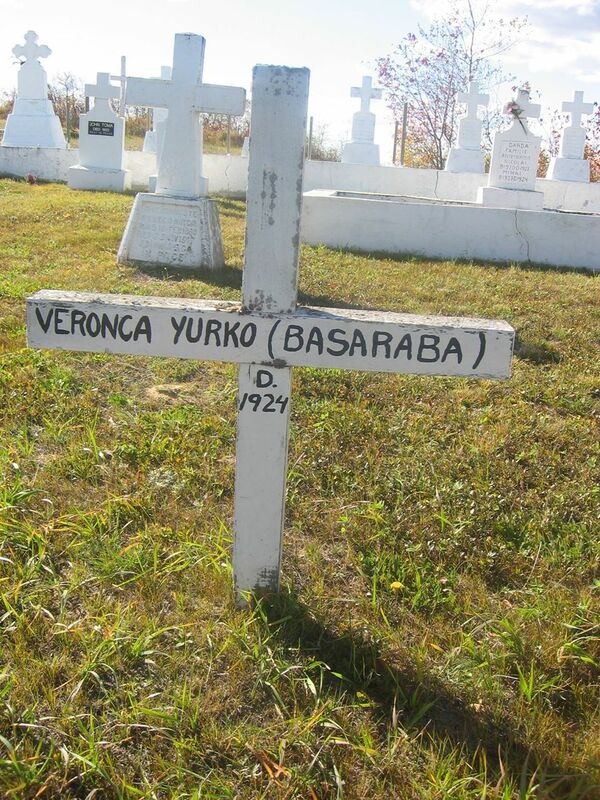 Two years later Andrei married Veronca Yurko but this unfortunate woman died of an enlarged goiter and for the second time Andrei was left a widower. He then married Veronica Nikiforeak and thirteen children were born from this union. Three died as infants and Bill passed away at age twenty-five. 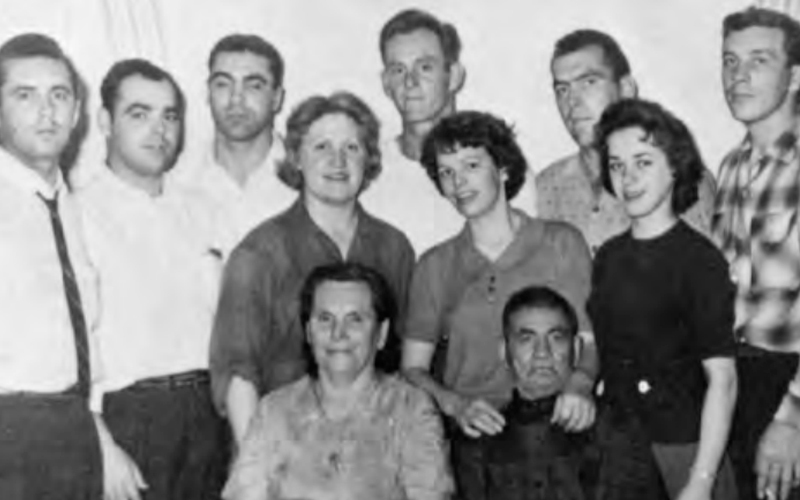 The surviving children are George, Violet, Steve, Mary Anne,Ted, Nick, Metro, Lawrence, Susan and Joanie. Andrei and Veronica farmed all their working lives and had to toil hard to raise such a large family. Veronica developed a keen interest in photography and had built up a sizeable collection of photos. In 1963 Andrei passed away and his wife moved to Edmonton a few years later where she still resides. The children all have homes and families of their own and are doing well. 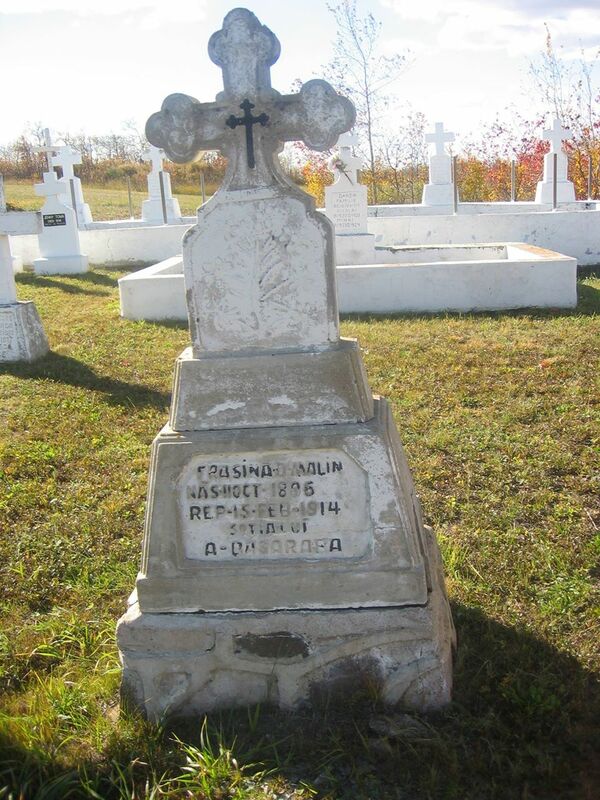 Message for descendants of Andrei Basaraba: please check all records for more information when Andrei was born and came to Canada. Andrei was born on Nov. 7, 1883. Father – Mihai Basaraba. Mother – Eudochia Zvarici. Godparents – Dimitrie Vaselichuc from Rarence and Sanda Costel from Boian. 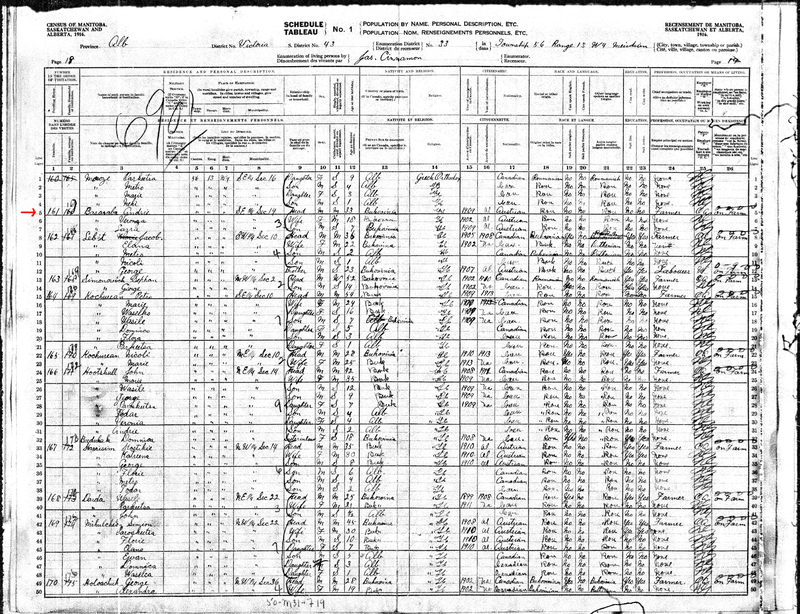 Andrei Basaraba and Eufrozina Malin marriage record. Feb. 3, 1908. Andrei, son of Mihail Basaraba and Eudochia Zvarici married Eufrozina, daughter of Dimitrie Malin and Marina Gaza. Godparents – Teodor Stefureac with his daughter Veronica.